Austin Community College student Javier Otero Grajeda thought he was doing an ordinary class assignment when his instructor had him take the S/P2 training course “Land That Job: Building a Resume. Little did he know, it was about to open up opportunities for him that he never thought possible. Javier created his resume through the course and then posted it to S/P2 Careers. Then one night while he was playing a game on his cell phone, he got an email from Southwest KIA Austin. The dealership saw his resume on S/P2 Careers and wanted to interview him for a job. Javier’s interview turned into a job offer, which turned into a career. 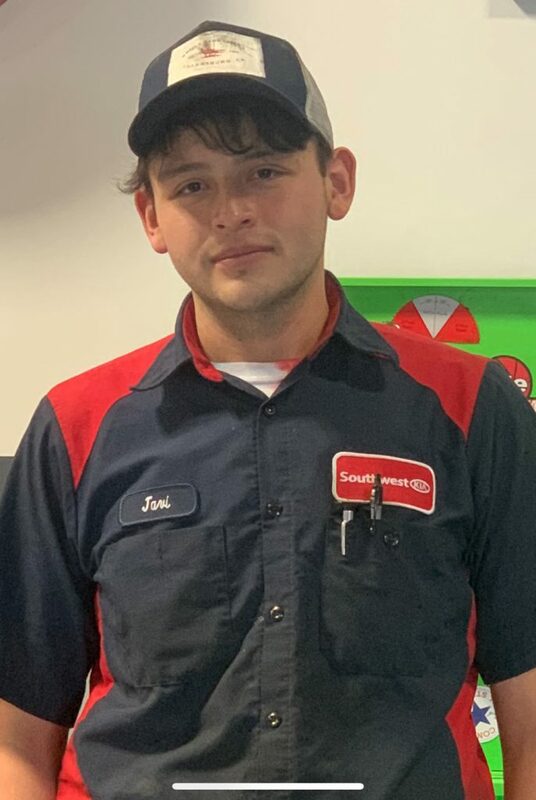 That one simple step of posting his resume on S/P2 Careers took him from working at a grocery store to working his dream job as an automotive technician. At S/P2 Careers, we know there are more students like Javier out there who can be matched with the right first employer.